These games are a light hearted, call your own fouls affair, and usually feature a wide range of ages and skill levels. Players 16 years and older are welcomed. Please contact the Recreation Center for more information, (541) 265-7783. Pickleball is a fun racket sport played by young and old alike. You hit a ball over a low net just like tennis. However, the ball used is made of light plastic that makes it fly far slower than a tennis ball. This makes it a perfect sport for all ages. 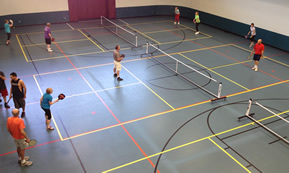 For a summary of pickleball rules, click here to visit the USA Pickleball Association website. Please play in only one time slot. Be sure to stop by Frank Wade Park to play on our 4 outdoor pickleball courts. These are open drop-in courts with no scheduled times of play. Nets are locked up onsite. Call the Rec Center for lock code. These games are a light hearted, make your own calls, and usually feature a wide range of ages and skill levels. Players 16 years and older are welcomed. This is for all types of skill level players who to enjoy playing in a friendly environment. These are pickup games for those who want to play for the enjoyment of the game. Games are played without referees. This program is for those who want to continue playing through the rainy months. Play usually feature a wide range of ages and skill levels. 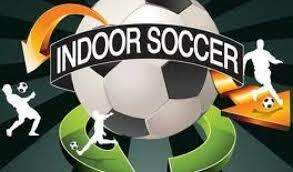 This coed group is for players of all skill levels from beginning to veteran. It’s easy to get involved - just drop-in and play! You’ll enjoy the exercise, the players, and the Spirit of the Game! 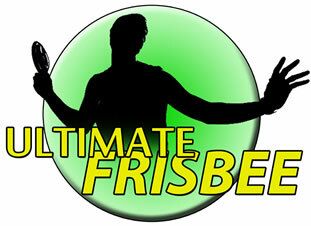 Ultimate is played without referees and focuses more on sportsmanship and respect than on the final score.